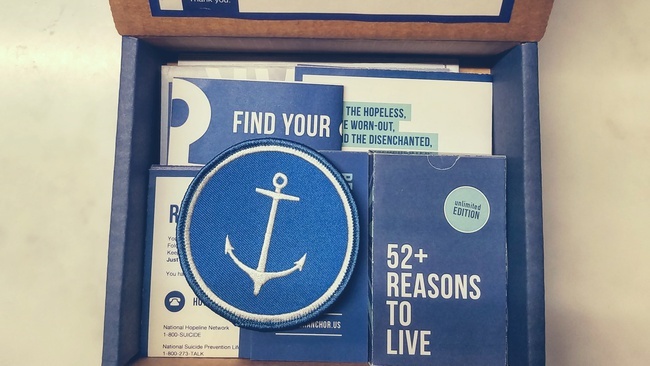 Simply put, the goal of Find Your Anchor is suicide prevention, awareness and education - all with the help of some little blue boxes. Suicide awareness has long been a cause very near and dear to my heart. Everything I​ had ever​ encountered regarding it was so "sterile" and hospital-brochure​-​y. I really wanted something that spoke to the person holding the box. This project, each box, in a lot of ways is a physical representation of me being fortunate enough to be in a better spot - the physical representation of being “anchored” and wanting to pay that forward. For those contemplating suicide, there is an overwhelming sense of loneliness and abandonment, despair, hopelessness. I wanted something specifically for them, a box full of ideas, support and inspiration. A box full of anchors. 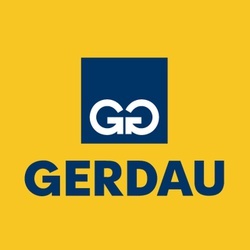 Designed with them in mind, I wanted those in need to open the box and think “someone cared enough to make this for me​.​” I wanted to provide, or spark within them a reason to fight. Find Your Anchor is that reason to fight. It’s 52+ Reasons to Live when you can’t even think of one. It’s that list of resources in your pocket, reminding you there are people all over the country waiting to listen. It’s a reminder that you’re not alone. That there is hope.